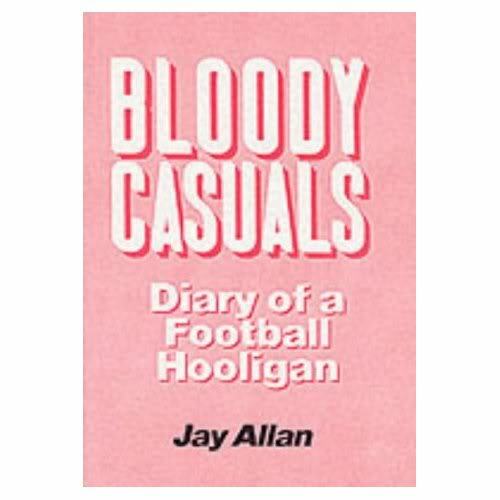 The memoirs of a football hooligan. Not exactly the most revealing synopsis for a football hooligan book but thats all I can find, judging by the customer reviews though it sounds like its a good one as they all give excellent reports. Congratulations, You Have Just Met The Casuals. It was the look and the attitude that defined the UK in the 1980s. It was 'a culture unto its own' that brought with it an unforgettable style that was as important as the team. It was about confrontation and being involved, a good fight and being part of the mob. This was the Casual movement - a new breed of football fan, bringing with them a new way to terrorise the terraces. 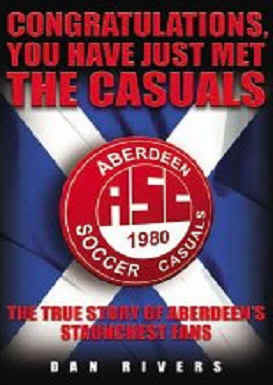 Scotland led the way, and of them all, Aberdeen football club's Aberdeen Soccer Casuals (the ASC) became the most notorious, most feared and most copied mob in the country. Told from a unique perspective at the heart of the action, this is their explosive and exhilarating story. Forthright, honest and passionate, this is the only account you'll ever need to read about the most formidable fans in Scotland. It's time to meet the Aberdeen Soccer Casuals.